Unprecedented collaboration between energy strategists from the UK and China will culminate in a high level conference, held on 18-21 September. Unprecedented collaboration between energy strategists from the UK and China will culminate in a high level conference, held on 18-21st September in Beijing, aimed at understanding how best to tackle climate change and ensure energy security. China’s Energy Research Institute (ERI) has been working with its British counterparts to adapt the UK Government’s ‘2050 Calculator’ to their own economy. The online tool, which will be available to the public, exposes the risks and trade-offs associated with different future energy scenarios. For example: what balance could be struck between energy efficiency and building new power supply? What is the role for new nuclear? Which technologies will be adopted? The Department of Energy and Climate Change (DECC) and the Foreign and Commonwealth Office (FCO), with the support of the British Embassy Beijing, are to jointly host the conference, alongside China’s Energy Research Institute (ERI), which will showcase the work to date and look to further countries taking part. The 2050 Calculator is a ground-breaking tool to help countries better plan their future energy strategy, in a transparent and evidence-based way. We welcome the work of our Chinese colleagues. Using the latest and most detailed data available, ERI have created a tool that allows the user to select how China will achieve its energy security up to 2050. The tool covers the entire energy sector, and will be open to experts and ordinary people alike, to model how different energy decisions will affect the whole country. The UK’s 2050 Calculator, the first of its kind created, provides a comprehensive analysis of plausible pathways to a secure, low carbon energy system in the UK to 2050. An online user-friendly web application, My2050, is also available in the UK, which allows the public to develop their own energy scenarios out to 2050. We are collaborating with China and other countries in building a wider base for this innovative and practical analysis, and I would like to invite other interested countries to join us in enriching this collaboration further. Together, the UK and China will engage with other developing and developed countries at the Conference to promote the use of this modelling methodology. In 2010, DECC built the 2050 Calculator, under the direction of David MacKay, chief scientific advisor at DECC, to ensure its short and medium term planning was consistent with achieving the long-term aim. See the 2050 Pathways Analysis pages for more information about the published UK 2050 Pathways Analysis. My2050 was published alongside the 2050 Calculator to help the public visualise and discuss the options for reducing our greenhouse gas emissions. In December 2011, DECC published the Carbon Plan, and used the 2050 Calculator to illustrate three 2050 futures that show some of the plausible routes towards meeting the UK target. 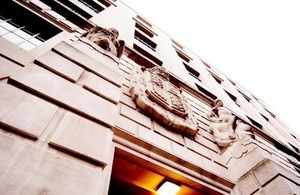 With the support of the Foreign and Commonwealth Office, DECC is now looking to roll-out this methodology for exploring energy scenarios internationally. Collaboration has already begun with China, Belgium and South Korea. The Chinese language version of the China 2050 Calculator. The UK Government set up the International Climate Fund to help developing countries tackle climate change and reduce poverty. DECC has now successfully bid for up to £2.1m of funding from the UK’s International Climate Fund to support work on a 2050 Calculator in 10 more developing countries over the next two years. The China Calculator was supported by the Foreign & Commonwealth Office: Prosperity Fund programme, which aims to tackle climate change, strengthen energy security and promote an open global economy in key emerging economies.